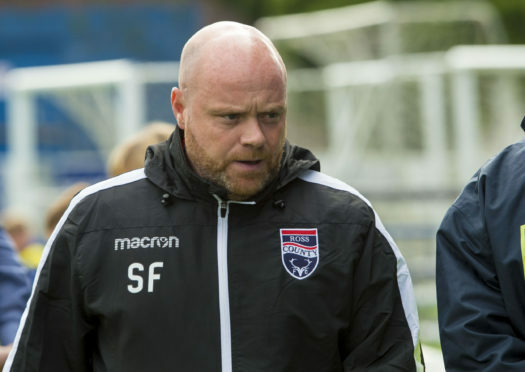 Ross County co-manager Steven Ferguson has urged his players to leave nothing on the pitch in today’s keenly-anticipated Highland derby against Caley Thistle. The two sides meet in a top-of-the-table Championship encounter at Victoria Park, with County a point behind league leaders Inverness. Ferguson insists more than points are up for grabs in the first competitive derby fixture for more than a year, as he looks for a result that will have Staggies supporters in boastful mood come this evening. Ferguson said: “It’s like any game, it’s three points up for grabs, but we can’t take away the fact we are playing our local rivals. It definitely adds something more to the spice. “It’s still only three points, we are not going to get any more from winning the game, but it feels like you do. “Because you are living here and working here, your performance and how you go about things will get spoken about a lot longer than it would be if it’s a game down the road. “You’ve just got to make sure you’ve got no regrets, you’re not thinking you could have done this or that. Although a number of County’s players will face Caley Jags for the first time, Ferguson believes newcomers will take the occasion in their stride. Ferguson, who has defenders Marcus Fraser and Keith Watson back from injury, added: “They might not have sampled the Highland derby, but they will definitely have sampled some sort of derby. “They are all similar in how people think about it going into the game. “We have got an experienced group. I can’t see a Highland derby fazing any one of our players, and Caley Thistle are relatively experienced as well.